If your to-do list for fall seems to piling up as higher than the leaves on the ground, you’re not alone. While you may dream of apple picking, carving pumpkins, and hiking through brilliantly hued forest foliage, the reality may look more like busy evenings helping kids with homework, less daylight to fit in everything you could during the summer, and mounting errands with holidays just around the corner. 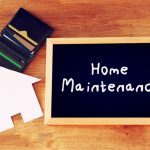 The never-ending tasks can feel stressful, especially when you feel too strapped for time to get your home prepped for the coming cold weather. Instead of letting the maintenance fall by the wayside (which can lead to costly repairs or replacements when winter ends), take the baby steps approach instead. Little things add up quickly, and this list of fast fall chores will free you up to spend quality autumn time with the family instead of working it away. Rake smarter: Once all the trees are nearly bare, make quick work of fallen leaves by raking the piles onto a large plastic tarp. It will be easier to move the leaves to the curbside for pickup, to add to the compost pile, or to put into lawn bags. Pack up the patio: Protect your patio furniture, grill, and decor by moving the items to the garage or a waterproof shed. If storage isn’t an option, cover your possessions to shield them from the elements and extend their life. Install gutter guards: After you clean the gutters of leaves and other fallen debris, install protective barriers that allow water to get in, but keep all of Mother Nature’s other gifts out. 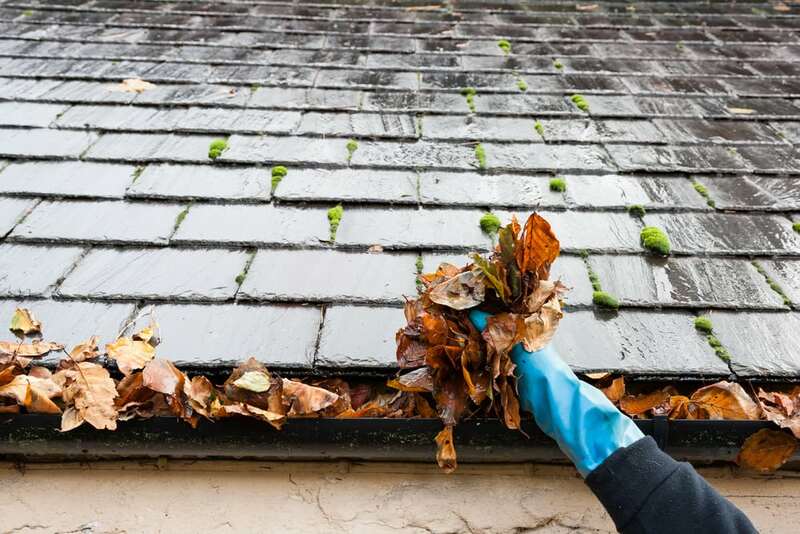 This may take a little longer now, but do it early in the season and you’ll save yourself time cleaning gutters in the future. 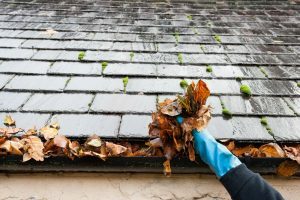 Check the downspouts: In just minutes with a bucket and pair of gloves, clear downspouts of leaves and debris so that those newly cleaned and guarded gutters can run unclogged. Trim branches: Dead branches are often easier to spot when not all the leaves have yet to fall. Clip these down to avoid any becoming a potential hazard during a winter storm. Make way for heat: You’ll soon need to crank up the heat. Before you do, remove dust and dirt from heating grates, baseboard heaters, and radiators using a vacuum or cleaning cloth. Shut off exterior water: Avoid frozen pipes this winter by shutting off the water supply to exterior faucets, disconnecting and storing hoses, and turning off outdoor sprinkler systems. Cut back summer flowers: Remove any annuals planted in your flower beds and gardens, and cut back perennials to make for easier growth next spring. Replace batteries: When the clock falls back, replace the batteries in fire and carbon monoxide detectors. Check the vent: Clear the exterior dryer vent of any built-up lint and debris. The vent should fully close in order to help conserve heat this winter. Make space in the fireplace: If you’re looking to warm yourself by the fire this winter, sweep out and vacuum the fireplace of ashes and other debris. Try to do one thing on this list each day–with the family’s help, of course!–and your fall chore list will get done without the effort and stress you thought it would take. 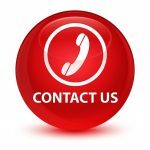 We are a 24/7 Emergency Restoration company servicing south-central Wisconsin. Our technicians are experts in mold remediation, water damage mitigation, fire and smoke restoration, and sewage cleanup. We also offer specialty cleaning services including commercial warehouse space cleaning, commercial carpet cleaning, and medical facility sterilization, and trauma scene cleanup.